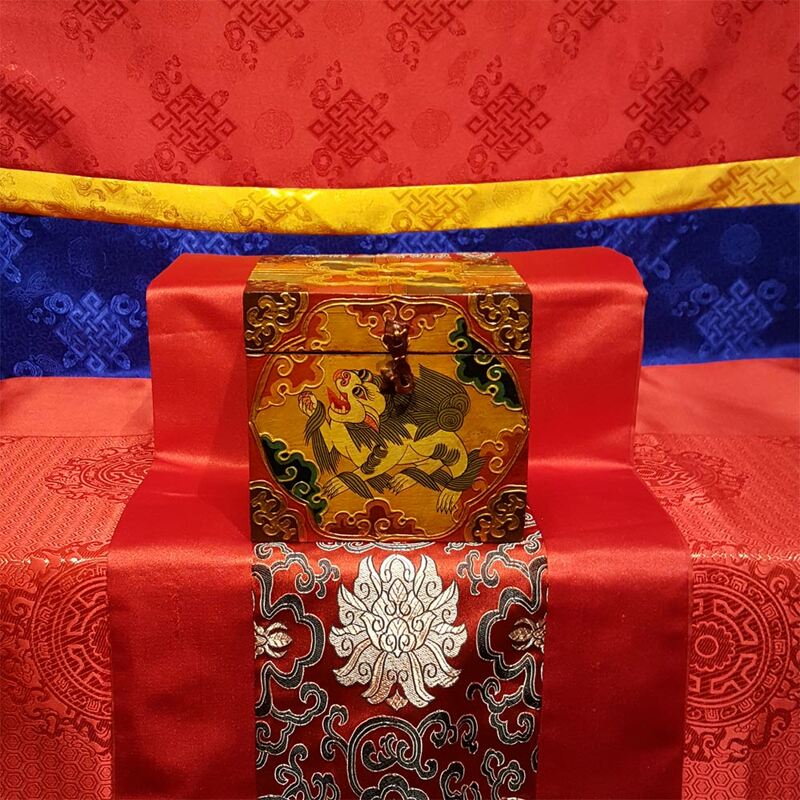 One-of-a-kind, Tibetan, hand-painted wooden box. Traditional style painting with Dharma symbols. Perfect for holding special treasures, jewelry, or relics. Copper findings.